We are in the middle of September and the thought that summer veggies and fruit are going to be out of season soon makes me gloomy…We will have to say goodbye to peppers, eggplants,, tomatoes, zucchini etc So just before welcoming the autumn produce let;s make a fantastic summery recipe that stems from Italy! I had some eggplants in my fridge was trying to find out what to do with them. 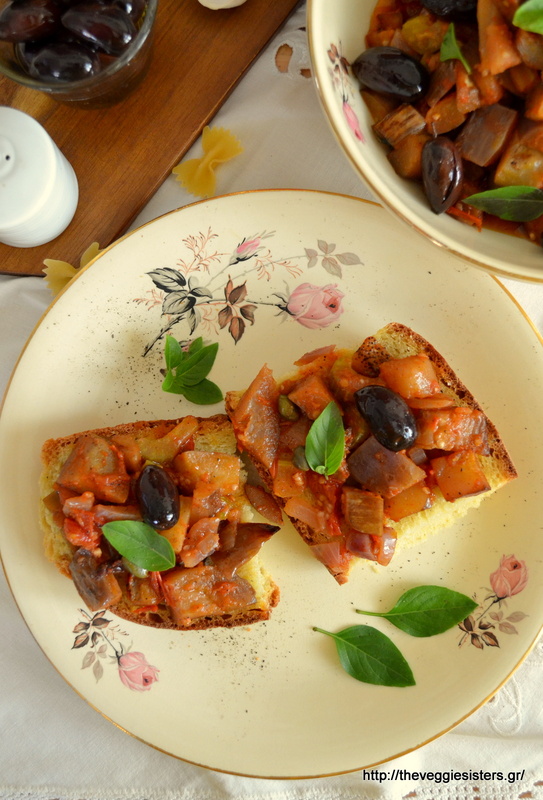 So I remembered a sicilian recipe called caponata! 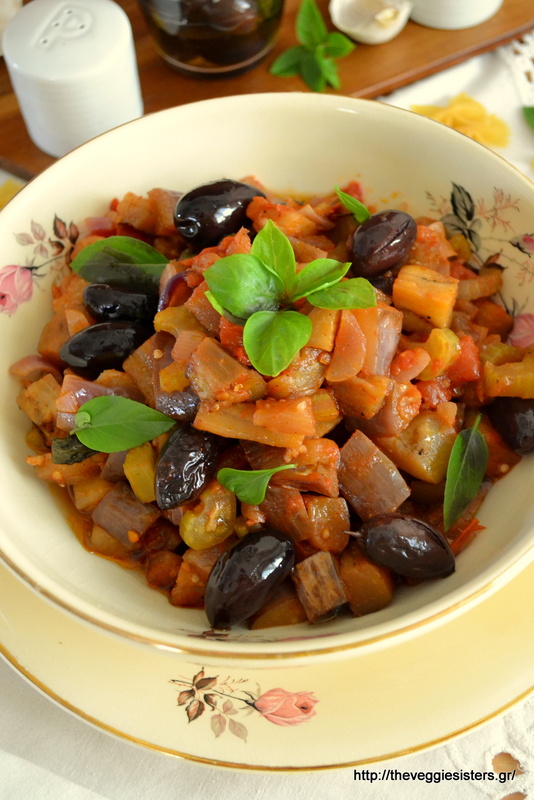 It is a dish consisting of a cooked vegetable salad made from chopped fried eggplant and celery seasoned with vinegar, capers and olives in a sweet and sour sauce. There are many variations. Some of theminclude peppers, raisins, pine nuts etc. 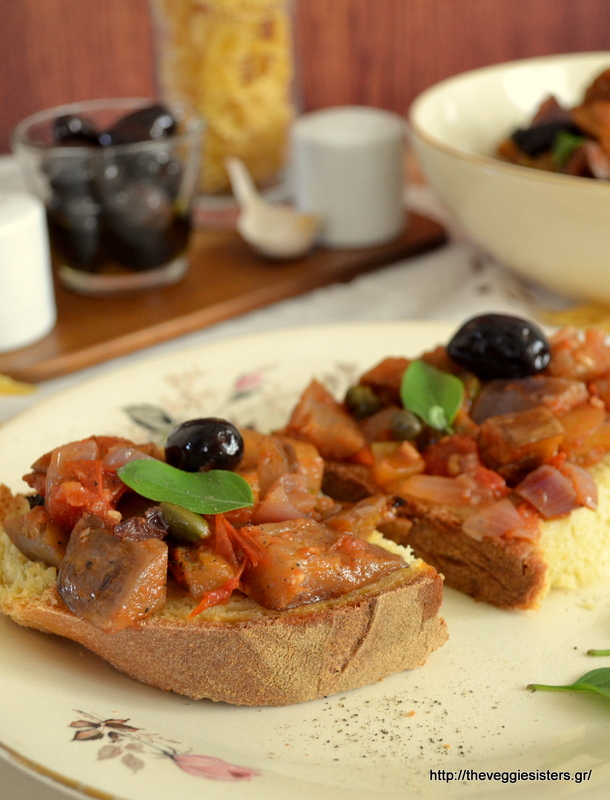 Yuou can have it as a side, salad, main dish, mix it with pasta or put it on toasted bread and make a great summery bruschetta! It keeps well in the fridge for days! 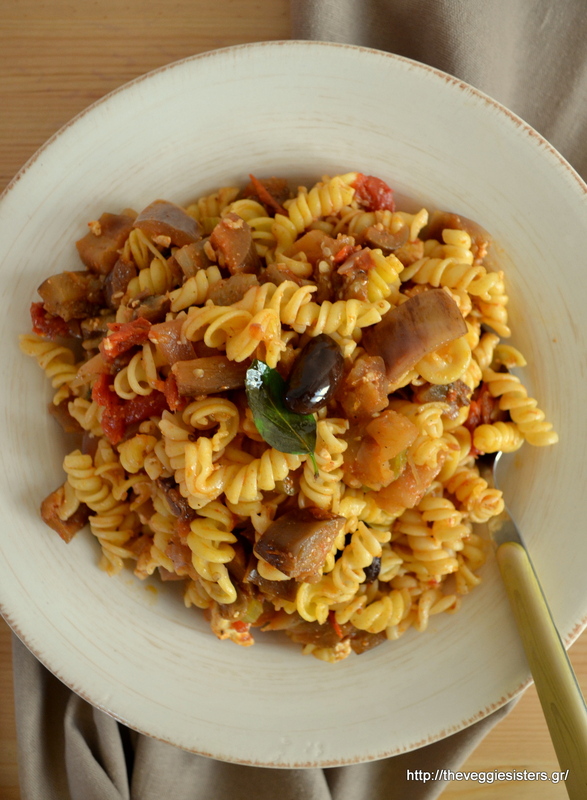 My version is healthier because I baked the whole thing and didn’t fry the eggplants! This is a must try, friends! I am sure you will love this dish! Last but not least I would like to announce the giveaway winner! The lucky one who won the Viofree products is Elina Shinaraki! I will contact you fr the details, dear! Happy weekend everyone! See you on Monday with a new post! Kisses and hugs! Soak eggplant cubes insalted water for 30 minutes. Then rinse well. Put all veggies in a big baking tray. Season with salt and pepper. Add the rest of the ingredients (except for the olives and capers) and stir well to combine. Bake in preheated oven for about 1 hour and 15 minutes at 180-200C. 20 minutes before removing the tray from the oven add the olives and capers. Enjoy as a side, salad or main dish. You could also mix it with pasta. It keeps well in the fridge for days! The longer it satys there, the tastier it gets! Enjoy!